William S. Covert has joined Wayne, Pa.-based Stephano Slack in the newly created position of CFO. Covert is responsible for overseeing all aspects of the accounting and financial functions of the firm, as well as leading and managing M&A strategies and corporate finance activities, and maintaining relationships with various external entities including vendors. Covert held financial executive positions with Siana Carr O’Connor & Lynam, where he served as a tax consultant and personal financial planner; Eagle Energy Systems, where he served as CFO; and Davidson Trust Company where he held the concurrent executive positions of CFO and chief compliance officer. Indianapolis-based Katz, Sapper & Miller (FY14 net revenue of $58.5 million) announces Corey L. Massella has joined the New York office as a partner in the transaction services and technology industry services groups. Furthering its commitment to serve a rapidly growing client base in the New York market, the firm is looking to Masella to help increase the firm’s current tri-state area footprint. 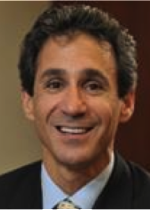 As the author of a blog for The New York Enterprise Report (now SmartCEO), Massella has written numerous articles and is a frequent speaker, panelist and moderator. In 2015, he was selected as the winner of the 2015 SmartCEO Industry CPA Leader for New York. Tayiika M. Dennis, a partner at Beverly Hills, Calif.-based NSBN LLP (FY15 net revenue of $16.6 million) was elected president of the Los Angeles Chapter of the California Society of Certified Public Accountants (CalCPA) for 2015-2016. The CalCPA Los Angeles Chapter has more than 11,200 members. They offer a broad range of services – from business consulting and personal financial planning to tax and estate planning. 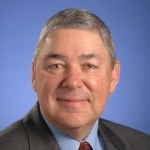 Dennis provides audit and tax services to nonprofit organizations. 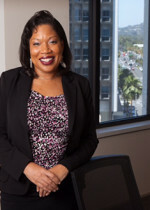 She holds a bachelor’s degree in economics from the University of California, Los Angeles, and was given the 2014 Women to Watch Award from CalCPA. Troy, Mich.-based Doeren Mayhew (FY14 net revenue of $61.2 million) announced a merger with credit union CPA firm Orth, Chakler, Murnane & Company, based in Miami. The merger combines two of the nation’s top credit union auditing firms as ranked by Callahan & Associates’ 2015 Supplier Market Share Guide: Credit Union Auditors. Founded in 1996, OCM has been solely dedicated to assisting credit unions. Its seven partners and nearly 60 professionals will continue with the combined organization. OCM’s co-founders, Douglas Orth, Hugh Chakler and John Murnane, as well as the firm’s four other partners, Daniel Moulton, James Griner, Lori Carmichael and Jack Kenney, will continue their current roles as shareholders within Doeren Mayhew’s Financial Institutions Group. Effective Oct. 1, OCM will operate as Orth, Chakler, Murnane & Company, A Doeren Mayhew Firm. The combined firm will operate from five offices located in Michigan, Florida, Texas and North Carolina. Mark Crawford, chairman of Doeren Mayhew, says the merger allows expansion into Florida and Texas, targets in the firm’s long-term growth strategy. “Merging with a firm of OCM’s talent and niche expertise reflects Doeren Mayhew’s continuing investment in the financial institutions industry,” he says. Based on this year’s rankings of Callahan & Associates’ market share report, the combined group will be a top-two provider to the credit union industry. Servicing more than 40 credit unions exceeding $1 billion in asset size, Doeren Mayhew will command nearly 18 percent of market share related to the nation’s largest credit unions. Greenville, S.C.-based Elliott Davis Decosimo (FY15 net revenue of $101.6 million) has announced it has admitted four to professionals to partnership: Jay Brietz, Howard Houston, Melissa Johnson and Jerry Lewis. Brietz is based in the firm’s Charlotte, N.C. office. Brietz has more than 20 years of experience in finance and accounting and leads the firm’s SSAE 16 – Service Organization Controls Reporting practice. Houston specializes in audits, reviews and compilations for construction, higher education, real estate companies and not-for-profit entities. He is based in the firm’s Greenville, S.C. office. Johnson, based in the firm’s Charleston, S.C. office, specializes in litigation support for commercial and family law disputes as well as business valuation services. Lewis, based in the firm’s Greenville, S.C. office, leads the firm’s tax methods and credit services practice, providing strategic solutions to taxpayers in an effort to increase current and future cash flows. Gaithersburg, Md.-based DeLeon & Stang announced that founding partner Allen Deleon recently received the Certified Information Technology Professional (CITP) designation. The CITP is a specialty designation that identifies CPAs with the ability to bridge between business and technology while meeting the strict requirements for a CPA license as well as additional training and experience in emerging trends, IT assurance and risk, business solutions, data analytics and security and privacy. “The CITP designation will allow me to help ensure our firm remains current on all technology trends, and enhance our ability to provide Service Organization Controls (SOC) engagements to our clients,” said Deleon. SOC engagements are becoming frequent requirements for service organizations, which provide services to organizations whose financial statements are being audited. PrimeGlobal has announced that LSL of Brea, Calif., and PIASCIK of Richmond, Va., have become the newest members, adding specialties in professional athletes and convention centers to the association’s North American region. LSL (formerly Lance, Sull & Lunghard, LLP) is an Orange County firm that has been providing assurance, tax and management advisory services to its clients for over 85 years. The firm’s specialized knowledge in automotive, construction, food service/restaurants, private education, manufacturing/distribution, professional services and real estate industries will enhance PrimeGlobal’s robust special interest groups, the association says. Additionally, its extensive experience with government clients (cities, special districts and joint powers authorities) and convention centers offers unique, specialized knowledge. “LSL is delighted to be welcomed as a PrimeGlobal member. We look forward to all the collaborative opportunities within the association,” says MP Rich Kikuchi. PIASCIK’s locations in Richmond, Va., and Beverly Hills, Calif., are strategically located to assist its large clientele of professional athletes. Including an impressive roster from the NFL, NBA, MLB, PGA and more, the firm’s niche is performing monthly accounting compilations, developing tax minimization strategies and creating tailored financial plans for these individuals. adds a new facet to PrimeGlobal’s expertise. Additionally, the firm has a strong international tax practice. “As an association we strive to continually broaden our reach and expertise while retaining our high standards of quality and professionalism. These two well-respected firms are excellent examples of both and we are excited to welcome them as members,” says Michelle Arnold, chief regional officer for PrimeGlobal North America. PrimeGlobal is among the top five associations of independent accounting firms in the world, comprised of over 300 highly successful independent public accounting firms in 90 countries. New York-based WesierMazars (FY14 net revenue of $158 million) has announced that Richard Bloom, Dennis Cancellarich, Ira Cooperman, Jerome Devillers, Pierre-Marie Lagnaud, George Parker and Anthony Stranix were named equity partners and Debra Bornstein was named equity principal. “WeiserMazars continues to experience strong growth and these promotions demonstrate our recognition of the talented team that are key contributors to our success,” said Victor Wahba, WeiserMazars CEO. Bloom is based in the New Jersey office. Formerly a non-equity partner at the firm, he delivers specialized personal tax and financial planning services to high-net-worth individuals, including closely held business owners, executives and hedge fund managers. He works with clients on multi-generational tax planning, philanthropic planning, wealth preservation strategies and risk management. Cancellarich is based in the Long Island office. Formerly a senior manager at the firm, he has over 15 years of accounting and tax experience in various industries including investment advisory, transportation, manufacturing, wholesale and real estate. He specializes in sophisticated tax planning for high-net-worth individuals including family groups with closely held businesses. Cooperman is based in the Long Island office. Formerly a senior manager at the firm, he has over 15 years of experience providing accounting services to manufacturing and distribution companies primarily in the consumer products sector, specializing in apparel, food and beverage, pharmaceutical, chemical and technology companies as well as those owned by private equity groups. He also has significant experience with employee benefit plans. Devillers is based in the New York City office. Formerly a non-equity partner, he works with the firm’s banking, financial institutions, investment funds, construction and utility clients in an array of regulatory activities and project finance initiatives. He has over 10 years of experience with Mazars in Europe and in the U.S. He supervises SEC engagements as well as the audit of large multi-national groups in the U.S. and participates in numerous cross-border acquisitions and advisory engagements. Lagnaud is based in the New York City office. Formerly a non-equity partner at the firm, he has extensive experience in corporate finance, counseling clients on due diligence procedures for mergers and acquisitions, and divestitures. He also provides advisory and attestation services to complement external growth strategies for large and medium-size corporations and investment funds. Parker is based in the Pennsylvania office. Formerly a senior manager at the firm, he provides accounting, audit and consulting services primarily to privately held companies in manufacturing and distribution, service and not-for-profit industries. He provides consultative services to public companies on technical accounting matters and also has extensive experience in the area of litigation support and forensic investigations. Stranix is based in the Pennsylvania office. Formerly a senior manager at the firm, he provides audit, internal audit, financial analysis and accounting services to companies within the insurance industry including property and casualty insurance, health insurance, financial services and employee benefits plans. Bornstein is based in the New York City office. Formerly a non-equity principal at the firm, she is practice Leader of the health care group. She has more than 20 years of experience in health care with a concentration in building and maintaining diverse provider networks for some of the largest managed care organizations in the tri-state area. She was a pioneer in establishing risk/value-based contracting in the New York Metropolitan area. Her expertise helps HMOs, PPOs and TPAs in provider contracting, strategic planning, medical cost trending and operational transaction management. 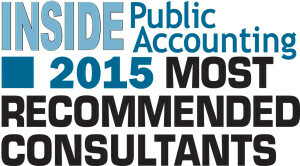 We are proud to announce the 2015 IPA Most Recommended Consultants, listed in alphabetical order, and their firms. The full list will be highlighted in the October issue of INSIDE Public Accounting. Each year INSIDE Public Accounting asks firms from across the nation to name one consultant, whom they have used during the past year. 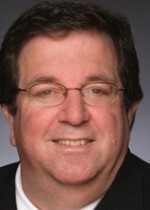 New York-based Grassi & Co. (FY15 net revenue of $45.6 million) announces that Dan Effron will be joining the firm as PIC of the firm’s State and Local Tax (SALT) service group. Effron, formerly a partner and practice leader for Marcum’s SALT practice, will be based out of the Manhattan office and will be coordinating SALT efforts firm-wide for all three offices. His expertise lies in tax planning and/or compliance for companies that do business in multiple states or countries. Prior to New York-based Marcum (FY14 net revenue of $385 million), where he worked for 15 years, Effron worked for ARCO Chemical Company, holding various management positions in the state and federal tax areas, as well as in internal audit.